In the past few years, I’ve met some of the most inspiring women of my life. These women support other women by reaching out to help them succeed. These advocates for change know that the more women they help up the ladder, the more they will transform outdated ideas and create new possibilities for generations to come. Let me tell you about three of them. At the Diversity Woman Business Leadership Conference, I met Dr. Johnetta Cole who has an impressive record of accomplishments and determination to advocate for women. Dr. Johnetta turned 80 at the conference and currently serves as the director for the Smithsonian National Museum of African Art. She grew up in the South when segregation was still legal, but her parents told her she could become whatever she wanted as an adult. She chose anthropology and higher education. Eventually she became the first black woman to serve as president of Spellman College, which had been founded 106 years before to educate women of African heritage. Spellman developed under her 10-year leadership to rank as the number one regional liberal arts college in the South. She continues today in her advocacy for other women. 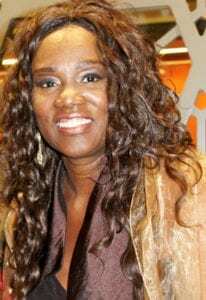 Dr. Johnetta says in her “Makers” interview that she never goes to a meeting without taking a younger woman with her, giving her the opportunity to learn and be exposed to the community of women helping one another succeed. I have noticed that African American women really understand the importance of sisterhood. 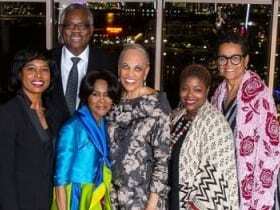 At every event I attend, whether the Diversity Conference or more recently the African American Women in Cinema (AAWIC) Women of Excellence Salute Awards, I hear stories of collaboration and community. Terra Renee founded AAWIC 19 years ago after she encountered thousands of women just like herself auditioning for a minor part. Terra realized the importance of creating jobs for them, and not just the actresses, but the directors, producers and storytellers who need resources to get their story told. Women of all races are under-represented in every sector of business and government, but in cinema and the entertainment industry, they truly struggle to make their voices heard. As Gloria Steinem says, “If we can’t see it, we can’t be it.” And the annual report by the Women’s Media Center, which she founded with Jane Fonda and Robin Morgan, says nothing had changed by 2015. Old boys continue to reward old boys and what is depicted as normal is anything but, with all women –– especially women of color –– under-represented in all areas from production to on-camera appearance. Women like Terra are working hard to change that picture. Terra says today’s internet media is helping. Women who can’t get their films distributed by mainstream Hollywood are instead uploading them to U-Tube where friends and family help generate the views that eventually earn them distribution contracts. 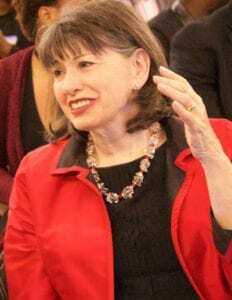 My Leading Women co-author Gloria Feldt, co-founder of Take the Lead, Inc. foundation is sharing her life’s work, the “9 Power Tools” curriculum with other women leaders. Her mission is to prepare, develop, inspire and propel women to reach parity in leadership across all sectors by 2025. Gloria has always supported other women, starting with providing birth control for teenage girls in a west Texas Planned Parenthood and rising to become President and CEO of Planned Parenthood’s national organization. Gloria debunks the idea of a finite “you-win-I-lose” pie. The pie is actually infinite, she says. “The more there is the more there is.” She works every day to create more opportunities for women by helping them transform their relationship with power. Check out TaketheLeadWomen.com to learn more about Gloria’s groundbreaking book, their free programs and 35 Leadership Ambassadors certified to deliver the training. Are you thinking, I can’t start a foundation or serve as president of a college? Maybe not, but we can all do something. You may be surprised to hear that many corporations and community organizations are seeking women to serve on their boards. Statistics show that when women serve on boards, the organizations are more profitable and successful, so the feminine perspective is in demand. If you don’t have time for community service, take the hand of another woman, like Dr. Johnetta does. Share a job opportunity with a friend. Call your sisters together at work or in your neighborhood. Create a supportive community of women and decide to do something positive together. Women are natural collaborators. You will be amazed at the momentum you can create when you reach out to help another woman. It doesn’t take any particular skill, college degree or cultural status. All it takes is a willingness to help and the courage to offer. Sometimes the simplest gesture makes the most impact. How will you improve the world today? I know there’s a woman near you right now who needs your support. ~Dr. Nancy D. O’Reilly, Founder and President, WomenConnect4Good, Inc.